One of William Parker's best talents is bringing otherworldly jazz down to earth. On this recording, aptly titled after his uncle O'Neal from South Carolina, Parker offers a collection of original tunes that stretch from the abstraction of pure energy to the dirtiness of down-home funk. Alto saxophonist Rob Brown plays with a surprising amount of energy on this disc, sparking an electric current which drives the group forward. His solo work on O'Neal's Porch represents some of his highest wattage work to date. To counterbalance this restless force, trumpeter Lewis Barnes often lays back, providing counterpoint or offering graceful, understated lines. Especially within the context of Parker's in-and-out compositions, these two players serve as ideal foils for each other. When appropriate, they can also integrate surprisingly intuitively. The tunes on O'Neal's Porch (all by Parker) often use a composed theme and/or groove as a starting point for exploration. In this sense, they follow the usual jazz convention of head-solos-head. But moments of collective improvisation (as on "Leaf") explode the stereotype. And one has the sense that there are no hard-and-fast rules here. Much of the intrigue about O'Neal's Porch derives from the ambiguous structure of the music. You never really know where it's headed: whether in or out, whether back to the theme or out into space. 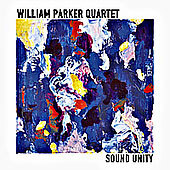 Even when the tunes have a familiar swinging, funky, or melancholic feel, Parker's quartet offers plenty of surprises. Note: this recording has been reissued by AUM Fidelity. Track Listing: Purple; Sun; O'Neal's Porch; Rise; Song for Jesus; Leaf; Song for Jesus 3/4; Moon. Personnel: William Parker: bass, talking drum; Rob Brown: alto saxophone; Hamid Drake: drums; Lewis Barnes: trumpet.